The Firm was initially established in early 70's by the late Mr. Delma Juzar together with Mr. Hoesein Wiriadinata. In 1992 the Firm was renamed into Wiriadinata & Widyawan and starting January 2006, the Firm has transformed and changed its name into Wiriadinata & Saleh. Mr. Hoesein Wiriadinata was one of the founders and the senior partner of the Firm. 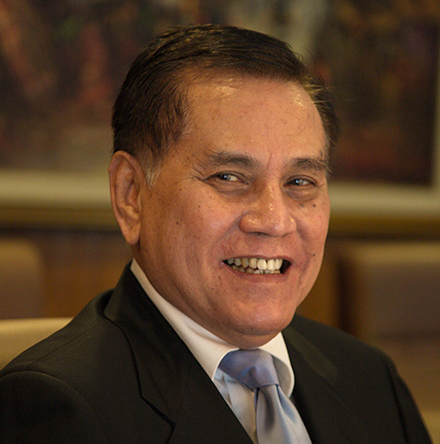 He held a Law Degree from Padjajaran University in Indonesia (1968) and a Master of Comparative Law Degree from the Southern Methodist University, Dallas, USA (1976). Mr. Hoesein Wiriadinata was a founder and member of the Board of the Indonesian Legal Consultants Association (Asosiasi Konsultan Hukum Indonesia), a founder and member of the Board of the Association of Capital Market Legal Consultants (Himpunan Konsultan Hukum Pasar Modal) and member of the Board of Advisors of the Indonesian Advocates Association (Perhimpunan Advokat Indonesia - PERADI). He was also a member of the Inter-Pacific Bar Association.